As effective as recycling serving Atlanta can be, it can only make a difference if everyone commits to the cause. 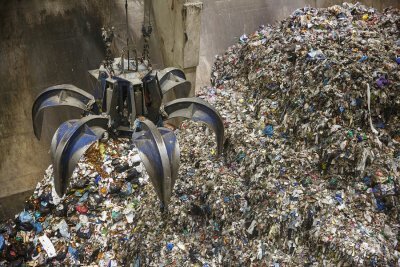 It’s important to raise awareness of the importance of responsible waste disposal, and people can only employ the right practices if they understand them. 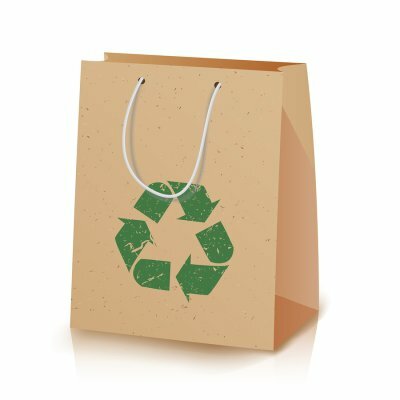 The purpose of America Recycles Day is to spread the word and educate people about the processes and benefits of recycling and responsible waste management. It’s also easy to find the materials you need to keep your community educated and motivated. Feel free to continue reading, and be sure to start planning for America Recycles Day . America Recycles Day is a nationwide holiday that encourages people to celebrate the power of recycling and sustainability. There are events held all over the country that are dedicated to teaching people how to recycle, what the process is like, and what kinds of materials can be recycled. People of all ages should understand how the practice of recycling can reduce our collective carbon footprint, keep waste out of landfills, and bring reusable materials back into circulation. From elementary school classrooms to corporate offices, people everywhere can come to recognize the importance of sustainability thanks to America Recycles Day events. There are all different types of waste near Atlanta, and the way you should handle your waste depends on the kind that you’re dealing with. The terms solid, hazardous, and toxic are 3 adjectives used to describe different types of waste. While solid waste is relatively easy to recognize and understand, the terms hazardous and toxic tend to throw people off. 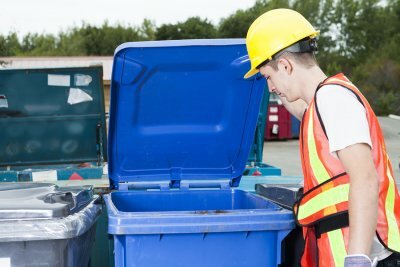 Knowing what kind of waste you have is important when it comes to choosing the proper type of waste disposal, and you can always ask your waste management professional for help . Keep reading for a brief overview of the differences between solid, hazardous, and toxic waste. The category of solid waste might seem self-explanatory, but it may also include more than you expected. Solid waste refers to the garbage in your trashcans, but it also includes wastes of different states of matter. Liquid and gaseous wastes, like sludge and pollutants, can also fall under the umbrella of solid waste. Municipal solid waste, or MSW, is the name for general solid waste that comes from public garbage cans or residential homes. Much solid waste can be recycled, especially materials like plastic and aluminum, but a great deal of it also ends up in landfills. 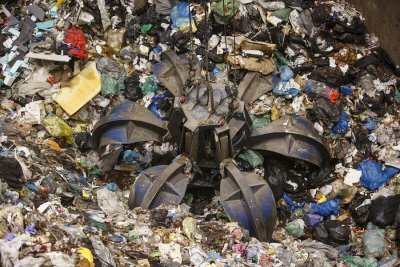 When a waste material is considered hazardous, it no longer fits within the realm of solid waste. However, hazardous waste is not exactly the same as toxic waste. The Environmental Protection Agency outlines a few criteria that can qualify a particular type of waste as hazardous. Waste that is corrosive, flammable, or reactive can be considered hazardous, but toxicity is also a potential component of hazardous waste. It’s important to handle hazardous waste carefully, which is why the job is usually left for the professionals. Unlike solid and hazardous wastes, toxic waste is a very specific type. According to the Environmental Protection Agency, waste must be harmful or deadly to people or animals that ingest it. Thus, toxic waste still falls under the category of hazardous waste, but it’s not the same thing. You will also need a professional to handle toxic waste. Are You Recycling These Common Items? Not everyone is certain about what kinds of materials they can and can’t recycle near Atlanta. You are most likely aware that you can throw your glass bottles and aluminum cans in recycling bins, but what do you do with your electronic equipment? A lot of your old electronics can be recycled, and yet tons of reusable electronics end up in landfills instead. Keep in mind that there are sometimes special pickup requirements when it comes to materials like batteries and light bulbs. Take a look ahead and ask yourself if you’ve been recycling these common items. 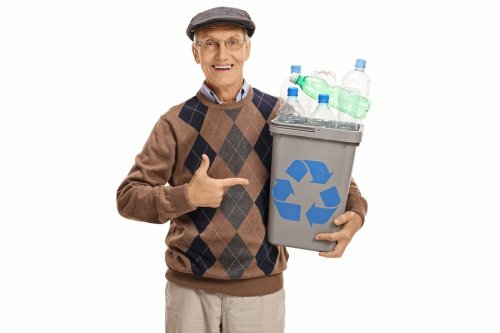 In this day and age, it’s a lot less common to see someone throw an aluminum can or a plastic bottle into a garbage rather than a recycling bin compared to just a few years ago. Containers that hold sports drinks, sodas, and beer are extremely recyclable, and it takes very little effort on the part of the consumer. Aluminum is so recyclable that the next can of soda you buy might be made from a can that you threw away just a couple of months ago. If you aren’t recycling your bottles and cans yet, now is the time to start. It’s tough to escape technology these days, and everyone seems to be waiting at the edge of their seats for the next new mobile phone to come out. What many people don’t realize is that they can recycle their old devices. 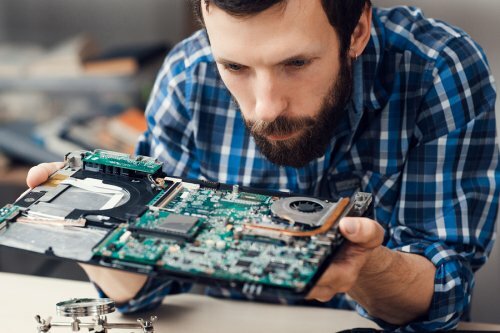 There are useful materials in your old laptops, desktop monitors, printers, and tablets. Even older electronics like CD and floppy drives, fax machines, and cabled mice can be recycled. Rather than throwing your old electronics out or letting them sit in a bin in your garage, consider recycling them and putting them back into circulation. Some people are unsure how to dispose of certain common items like batteries and fluorescent bulbs. 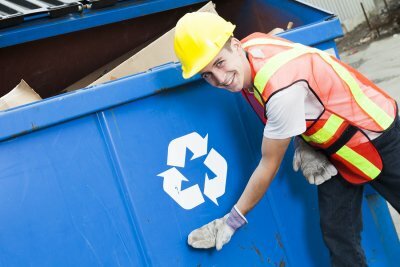 While these items can be recycled and are often accepted, they might come with specialized pickup requirements. Talk to your waste management professional to see how you can go about recycling these items.